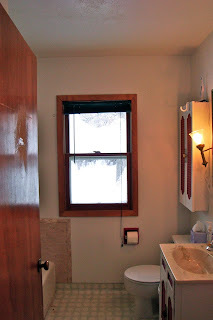 I realized after painting the bathroom window that I never did a proper before and after of our finished bathroom remodel. Here it is! Before. 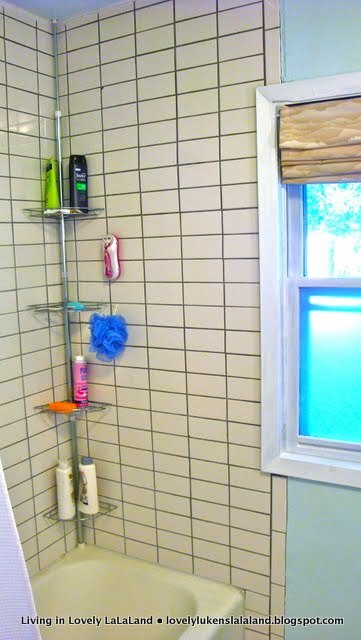 Plastic tiles and no shower. After. 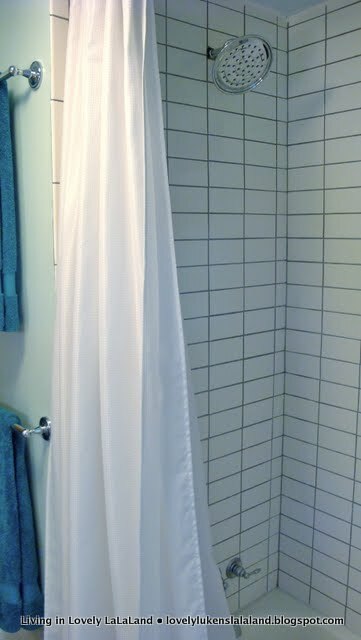 A rain shower-head tall enough for us! After. 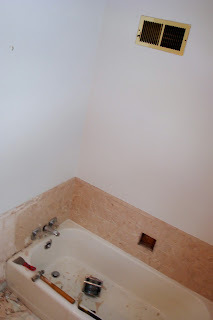 Same tub, new white subway tile with gray grout. After, new chrome tub and shower fixtures. 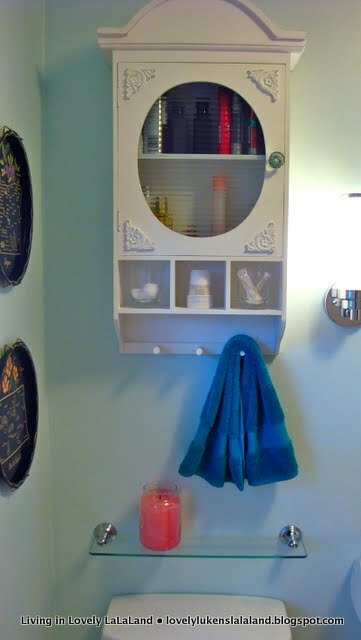 Before, the cabinet above the toilet. 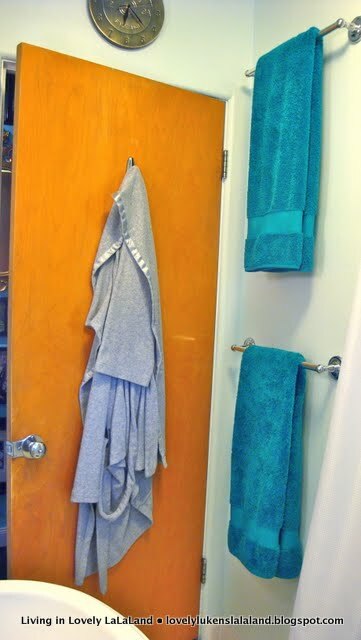 Before, the hand towel hook. After. 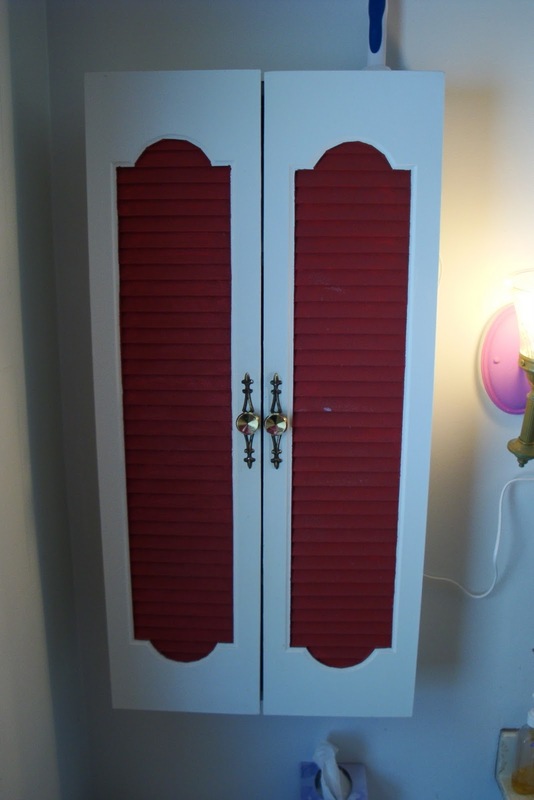 One piece for many functions and a glass shelf above the toilet. 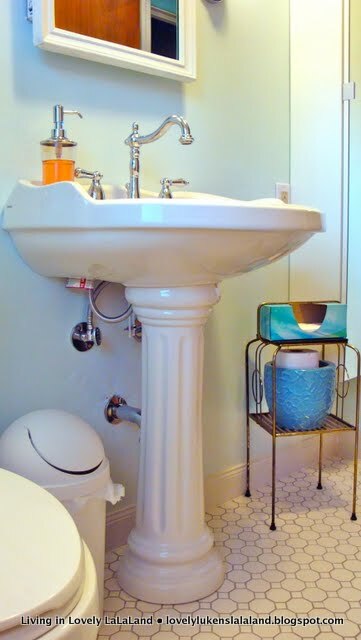 After, a pedestal sink and retro ashtray-turned-table. After. 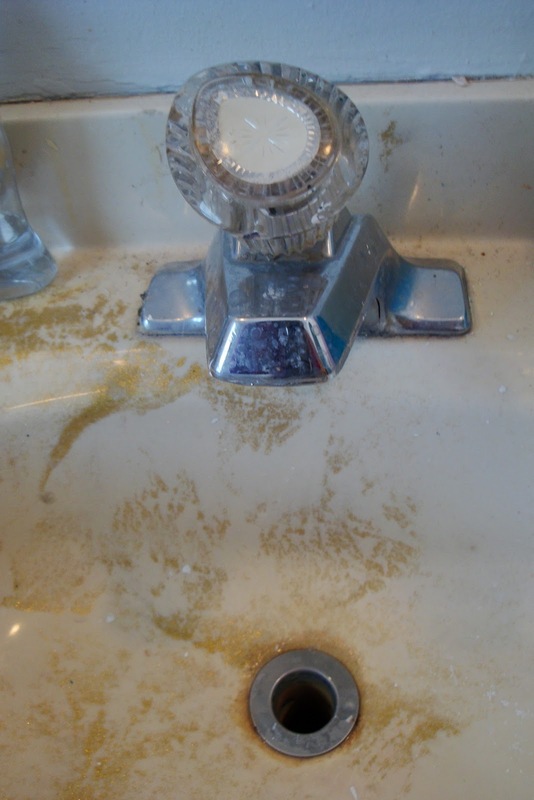 A new wide mount faucet that's tall enough for big hands to fit under and rotates out of the way. 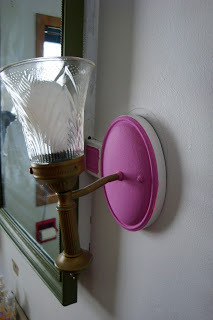 Before, a light switch caked with grime and layers of paint. After, this switch allowed us to install a fan and ceiling light without ripping apart the wall to put in a double switch box. After. New, energy efficient chrome sconces. After. 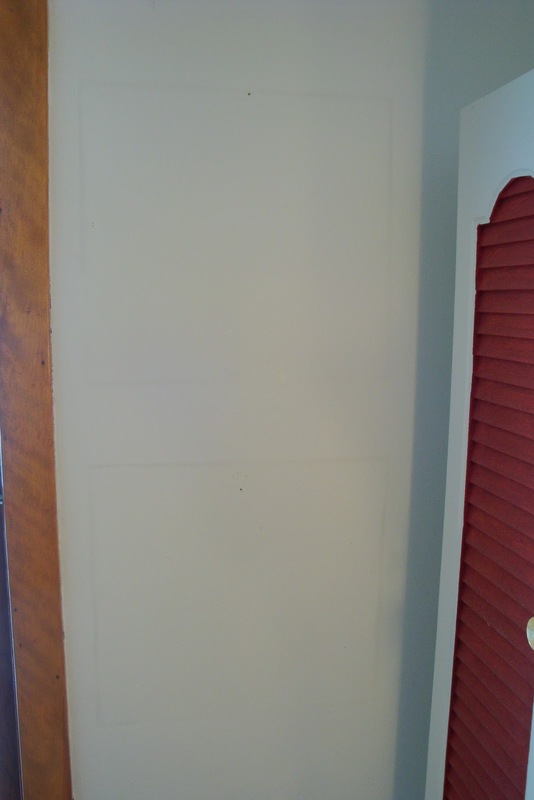 It's amazing what a new coat of white paint did to this medicine cabinet. Before, no overhead lighting or ventilation. After, lighting and ventilation in one chrome and glass fixture, and it looks good too! Before, chipped paint and holes left from a long-removed towel bar. After. Two chrome towel bars. Before. 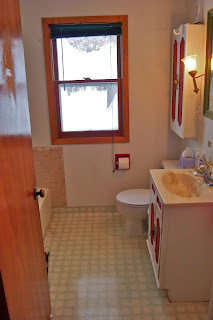 A red toilet paper holder?? The same toilet paper holder, after. Old paint stripped, new silver spray paint applied. Before. Nail holes and squares of grime on the walls where previous owners hung frames. 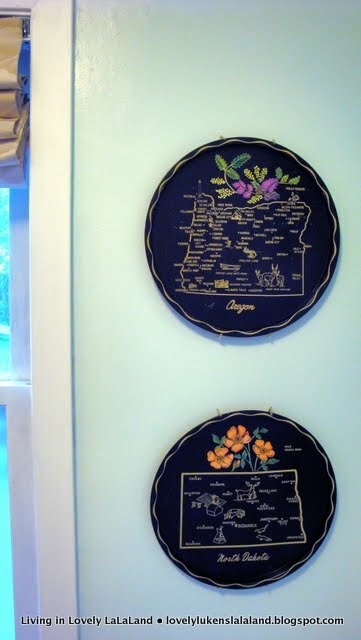 After, vintage Oregon and North Dakota state plates on aqua blue bathroom walls. Before, linoleum on the floors and up the walls. After. 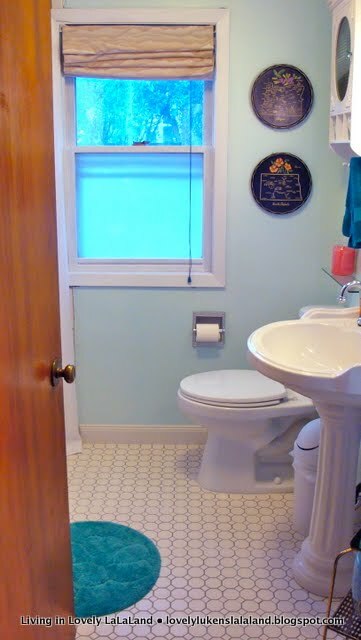 White octagonal and dot tile with gray grout, white baseboards. After. 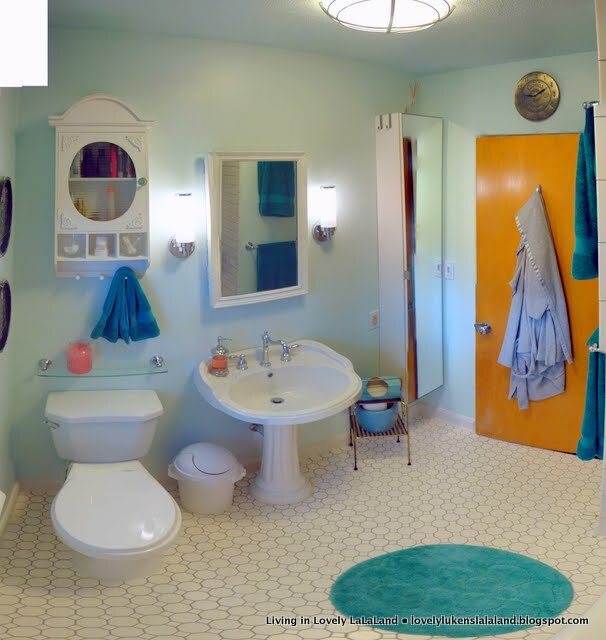 A teal circular bath mat. Before. Little to no storage. After, IKEA Lillaggen mirrored bathroom cabinet. We documented this total gut job from start to finish. Learn more by reading these posts. Wow, what a remodel! It looks amazing. 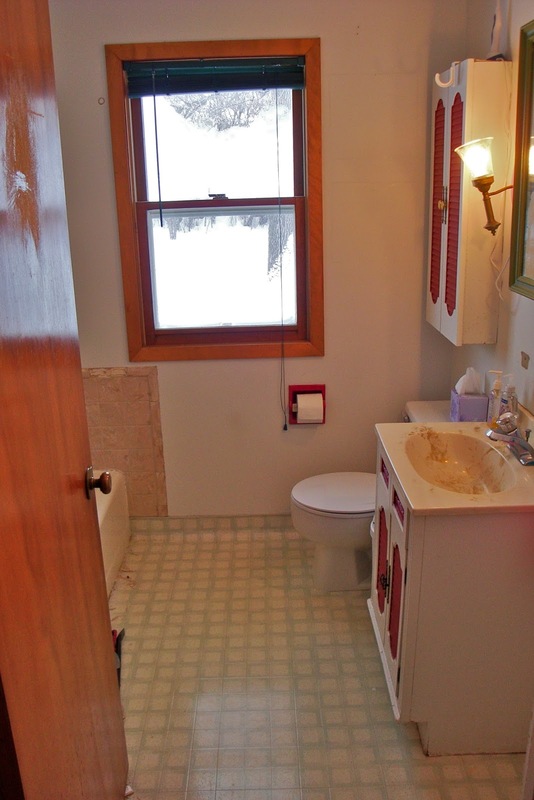 I love the tile you chose and the color scheme. So pretty! fab.u.lous! 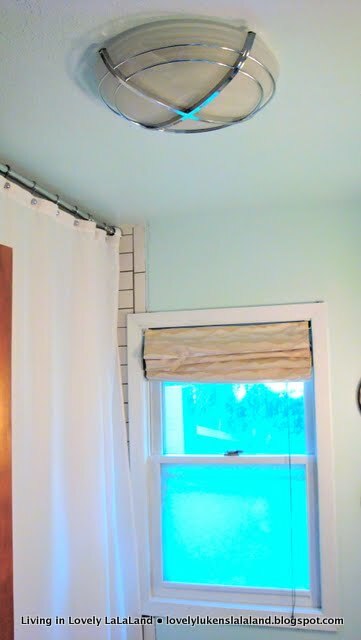 i LOVE the wall color (please tell me what it is-we just painted ours and it is tooooo bright). 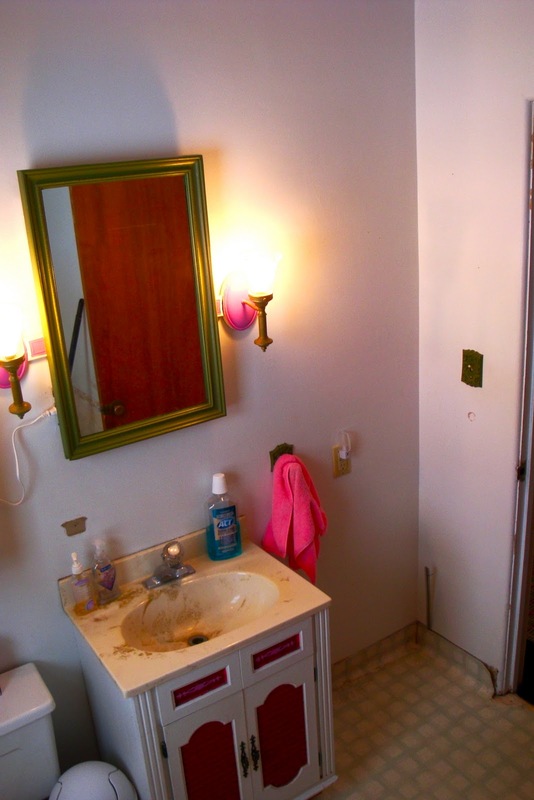 those sconces are amazing, and what a neat cabinet above the toilet. fabulous transformation! great job! Looks great! So much fresher! 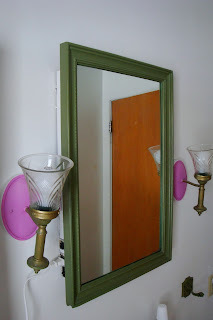 Love the sconces and that mirrored cabinet. Feels so good to be done, right? Thanks! We actually just added some white paint to some leftover blue that we had on hand. And unfortunately I can't find the paint color name anywhere. Sorry I'm not more help! 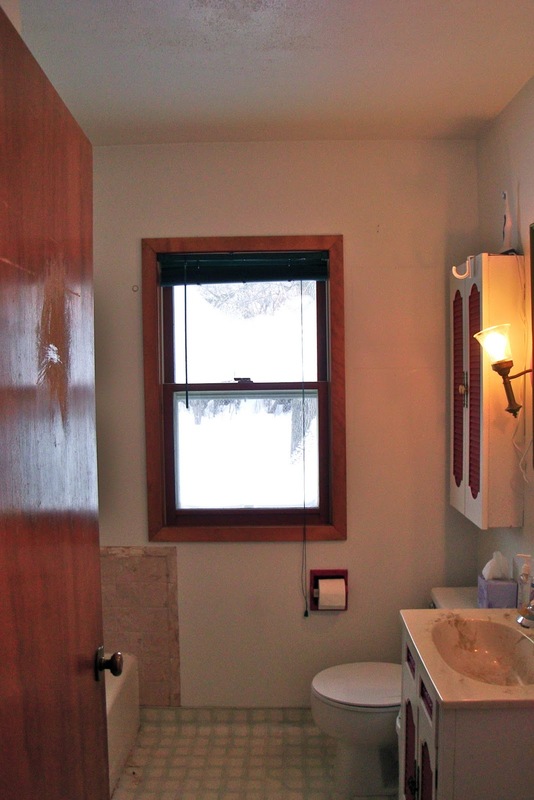 The bathroom looks sharp and crisp. The flooring may be my favorite part. Great job! 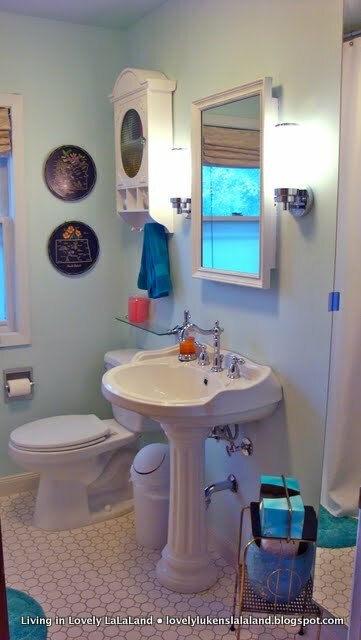 I really like the sink fixture and flooring. So many things I love, from your fixtures, to the floors to all the mirrors. Awesome job. Want to come and do mine next?